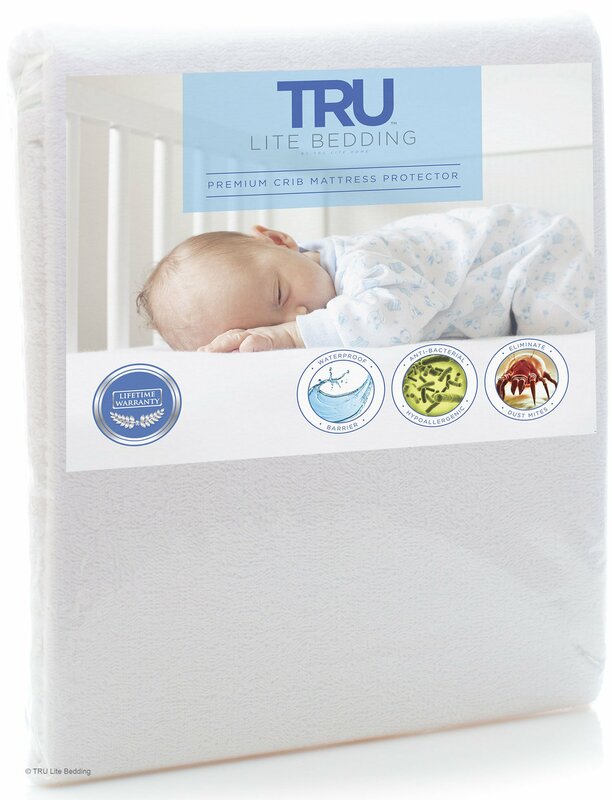 KEEP YOUR MATTRESS CLEAN - Protect against dust mite infestation, allergens, bacteria, germs, urine and other liquids that can make beds and mattresses filthy or cause an allergy attack. SAFEGUARD YOUR FAMILY - You and your loved ones deserve a healthy environment for sleeping. Reduce allergic reactions and discomfort that can disrupt rest. Contains no phthalates, vinyl, PVC, or other irritants. EASY TO USE AND WASH - Deep pockets with stretchy fabric on the sides to slip over your mattress just like a fitted sheet. Comes in all sizes - Twin or Single, Twin XL, Full or Double, Queen, King, California King and Crib Mattress. Machine wash normally without fabric softener or bleach. Tumble dry on low setting. PROTECT YOUR INVESTMENT SAVE MONEY - Your mattress will stay in better shape for longer with our high quality mattress cover. Fulfills your manufacturer's warranty protection requirements. Our lifetime guarantee means there's no risk to you. SLEEP COMFORTABLY - Designed to sleep cool and comfortable. Noiseless material means no crinkly plastic sounds. Stays in place and will not slide around on the bed. Fits new mattress well, washes and dries well. Home territory searches the web to find the best prices and availability on Mattress Protectors and related products foir your home like Premium Waterproof Mattress Protector Vinyl Free Mattress Cover Hypoallergenic Breathable.... For this page, related items include products we find that match the following keywords: "Mattress Protector" at our vendor partner Walmart - Click More Info / Buy Now to check for price rollbacks!. Premium Waterproof Mattress Protector Vinyl Free Mattress Cover Hypoallergenic Breathable... is one of 83 Mattress Protectors and related products available for sale through HomeTerritory.com, If you have any questions on this product, please give us a call at 734-971-1210 during the hours of 9am - 5pm EST for assistance. Thank you for shopping at Home Territory, the home furnishings superstore!